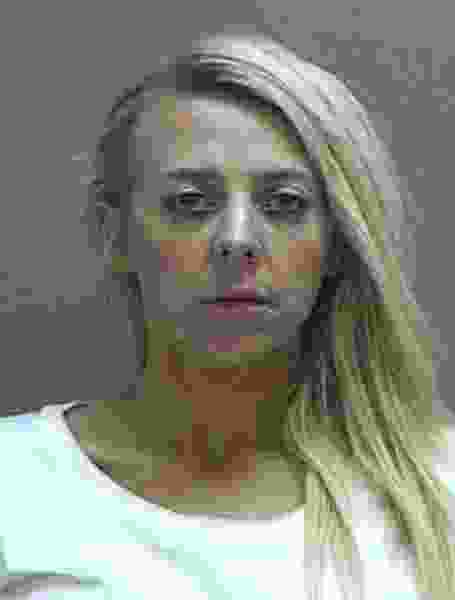 (Salt Lake County Sheriff's Office via Associated Press) This undated photo provided by the Salt Lake County Sheriff's Office shows Chelsea Watrous Cook, who has been charged with aggravated murder and other counts in the death of 26-year-old Lisa Vilate Williams. Police say Williams was making homemade ornaments with her boyfriend's twin 3-year-olds when his ex-wife, 32-year-old Cook, burst in and shot her to death in front of the children. A Utah high school health teacher was charged with aggravated murder and other felonies in the shooting death of her ex-husband’s girlfriend. In charges filed Wednesday, prosecutors wrote that on Nov. 25, Chelsea Watrous Cook, 32, went to her ex’s apartment to give cold medicine to one of her 3-year-old twins, and fatally shot Lisa Vilate Williams, 26, in front of the children. Chelsea Cook and her ex-husband had texted each other and arranged to meet outside the apartment, but when the man went outside, Cook instead went into the apartment, prosecutors wrote. The man returned to his apartment to find Cook in the living room with Williams and the two children, prosecutors wrote. After Cook refused to leave, her ex picked up the phone to call 911, and Cook briefly locked herself in a bathroom, prosecutors wrote. She came out of the bathroom and walked toward her coat, prosecutors wrote. Her ex-husband then heard multiple gunshots and saw Cook pointing a gun at Williams, who was fatally shot in the chest, as well as in the leg and hip, prosecutors wrote. The man grabbed the gun from Cook, who then sat with the children, prosecutors wrote. Cook’s ex-husband tried to call 911 again, but Cook got up and again walked to her coat; the man, worried she had another gun in the coat, pinned her to the wall until police arrived and told the children to go into their room and lock the door, prosecutors wrote. In addition to aggravated murder, Cook was charged with first-degree felony aggravated burglary; first-degree felony discharge of a firearm with serious bodily injury; second-degree felony discharge of a firearm with injury and third-degree felony discharge of a firearm; and two misdemeanor counts of violent offense committed in the presence of a child. Cook taught health at Skyridge High School in Lehi.